The ninth annual Limmud FSU – a Jewish conference and social event – will kick off this year in the bucolic surroundings of Povedniki, about 40 kilometers north of Moscow. The confab, which takes place from April 24 to 27, is considered the largest Jewish gathering in the former Soviet Union. With over 180 panel and roundtable discussions, participants will have a chance to enjoy lectures on Sigmund Freud, music, magic, Ukrainian Jewry and a film screening about Boris Godunov, the famous opera. Several standout participants are coming this year, including the Israeli ambassador to Russia, Dorit Golender; Rabbi Yechiel Eckstein, the founder of the International Fellowship of Christians and Jews; Russian Jewish Congress president Yuri Kanner; and Dr. Tzvia Walden of Ben-Gurion University of the Negev, an expert in linguistics, who will speak on disagreement in Jewish tradition. Over the years he has seen the dream of a vibrant Limmud, staffed by a vigorous local community, become a reality. Roman Kogan, executive director of Limmud FSU, recalls growing up in Estonia, where he was born in 1978. He made aliya at age 12 and worked for the Jewish Agency in Saint Petersburg. When he came to work for Limmud, he saw it as a new model that would build on the tumultuous years of the 1990s and 2000s. In those years, Jewish communal life was dominated by large international organizations that came in after the fall of the Soviet Union. “We are looking forward to another quality and energetic event. This is the biggest Limmud event in the Russian-speaking world and biggest gathering of Jews in Moscow and Russia.” He stresses how meaningful the event is for the community’s younger generation. “The idea is to allow the young generation of leaders of the Moscow Jewish community to build the framework of their Jewish life [through] an independent project run almost totally by volunteers. Russia has changed since the last time I was here. The cars are new and larger. In the old days you could get a taxi just by waving your arms on the street and people would stop to pick you up in a private car. That is gone now, as is the ubiquitious presence of police and militia and other uniforms…and street stalls, poor people, gypsies. In short, the city is clean and Moscow seems to be booming. But the success has not gone in pace with other types of development. 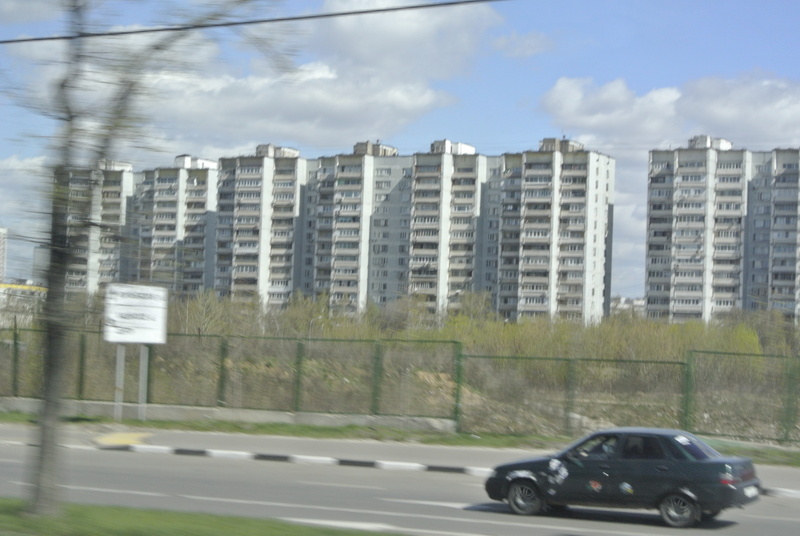 Highways and roads, the large boulevards and planned satellite cities of the Communist era, are congested and infrastructure remains un-modified. The highways and byways and access roads that criss-cross other modern cities are non-existent. Outlying communities are accessed by one narrow road often; backups in traffic begin 30km outside of Moscow and never seem to stop. 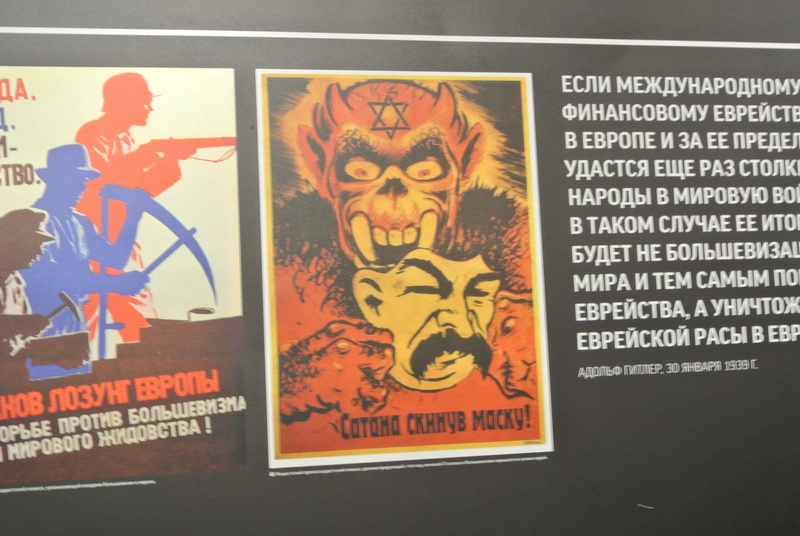 A new Jewish Museum has been opened in north Moscow. It is in an area that has Jewish institutions. As is typical in other European countries, there is oppressive security at the institutions. TO get into the community center and synagogue, there are several guards and they take the screening seriously, including the metal detector. Later, at the museum, only three are allowed in at a time so they cannot “overwhelm” the checkers. The museum is impressive, icnprorating the latest multi-media. At one point one can thumb through a virtual Torah. At another a barrel of pickles has a flat touch screen on tp of it that can be touched to reveal scenes of shtetl life. Other interactive media include quotes from the Bible, and postcards floating on a screen that can be moved to reveal a well known Russian Jewish member of the diaspora, such as Anastasia Michaeli, the former MK, speaking about their life. Various narrations show the Second World War and detail pogroms. They emphasize the Jewish contribution to urban life and the war effort; the Holocaust, and how the Soviets persecuted Jews under Stalin. Limmud is being held at the Klyzma guest resort which is situated on a quiet reservoir. As people wander around waiting for panel discussions; between helpings of mediocre food, one visitor explains that the Moscow Limmud is unqiue for its young vibrant “yuppie” crowd. He notes that these people come to “learn how to succeed, these are the elite of Moscow, the engineers, and academics.” Children run in the halls and people enjoy snacks and a beer around the café. MOSCOW – More than 1,000, mostly young, Russian Jews gathered over the weekend at the Limmud FSU Moscow conference to listen to around 160 sessions highlighting Jewish culture, business and history. The energetic and talkative crowds had come from Moscow and the surrounding area, with a few flying from as far away as Australia and the US, to witness the main event in the Russian Jewish diaspora that runs from through Sunday. Russia that had emerged from the dark period of the 1990s and was economically successful. 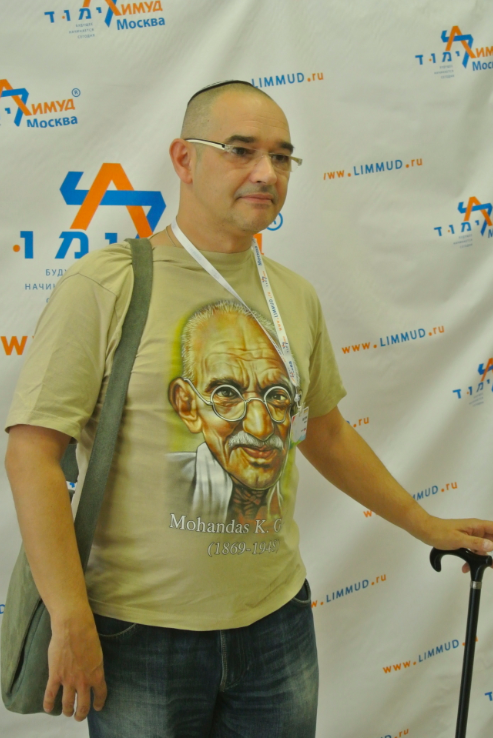 Walking with a cane, sporting a kippa and a shirt with Mohandas Gandhi splashed across it, he described a tense political atmosphere with the crisis in Ukraine. “A nuclear winter could so away with us all.” He compared the Russian seizure of Crimea to the 1938 conquest of Austria by the Germans. He sees young Jews in Russia as living very disparate lives, without a clear central community. “The only thing that unites Jews in Moscow is this conference, because it caters to the brain,” he said. Young people, what he termed the “third generation,” were discovering Jewish roots and culture. Based on studies conducted in 2008 and 2010-11, he showed that the Jewish community in Russia, once thought to be primarily one immigrating either to the West or Israel, was not only recovering but thriving. From speaking to the young people, and seeing many children wandering the halls of the conference, it was clear a phenomenon is taking place in Moscow. Jews are reconnecting, not necessarily with religion, but with Jewish culture.One crowd stood mesmerized by an explanation of how to make gefilte fish. A large new Jewish Museum and Tolerance Center has been inaugurated in a giant warehouse in downtown Moscow. With the latest multimedia interactive presentations, and a quiet stream of people coming and going, it illustrated a rebirth of Jewish Russia. Israeli Ambassador Dorit Golender attended the first day of Limmud FSU on Thursday. Born in Lithuania and an immigrant to Israel in 1967 just prior to the Six Day War, she said the event was important to the community. “We have an opportunity to speak in these discussions and create a dialogue and discussions,” she said. Golender said it was important for Israel that the Jewish community in Russia remain dynamic. “In the old days of the Soviet Union, Jews could not learn openly, today it is open; there are schools, kindergartens, many communities and synagogues. A Jew can decide for himself. This generation is new and they don’t want to leave Russia. They don’t want to leave their culture.” As for Ukraine, “we don’t have a stand on this issue,” she said. ← Does Israel have a responsibili-ty deficit?